After a serious accident, money tends to become an issue. First, there are the medical bills, co-pays, prescriptions, etc. To make matters worse, for a lot of our clients, their injuries prevent them from returning to work. Given these circumstances, the last thing they want to do is pay for a lawyer. We understand. Which is why we handle all defective product liability cases on a contingency basis. Simply put, that means you do not pay us a nickel unless we recover money for you. To be sure, defective product liability actions are expensive to prosecute. In some cases, the expenses associated with the investigation, depositions, experts, documents, etc. can run into the hundreds of thousands. 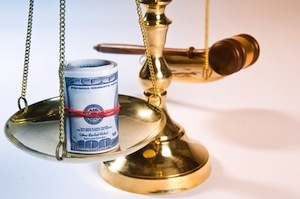 Some lawyers require their clients to incur costly litigation loans to fund their case, but at The Law Offices of John Day, P.C. we advance all of these expenses for you and we only recoup them if we win. And unlike some lawyers, we never charge interest on these expense advances. If you or a loved one has been injured by a defective product, contact one of our award-winning lawyers for a free, no-obligation consultation. We will review your case with you, answer your questions and explain your legal options in clear terms. To schedule an appointment or at the location of your choice, please contact us online or call us at 615-742-4880 or toll-free at 866.812.8787.